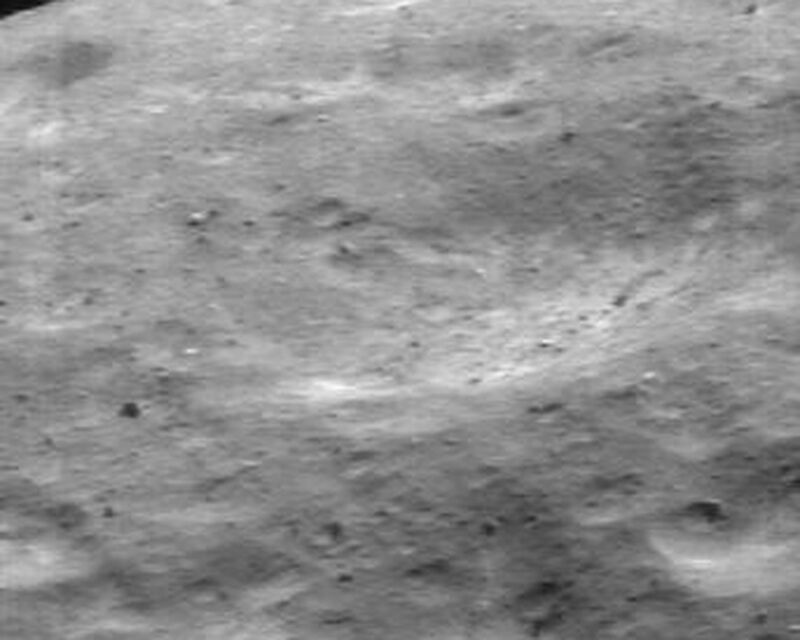 Some of the most aesthetically pleasing views of Eros from NEAR Shoemaker have been obtained when the camera looks at the asteroid's horizon. 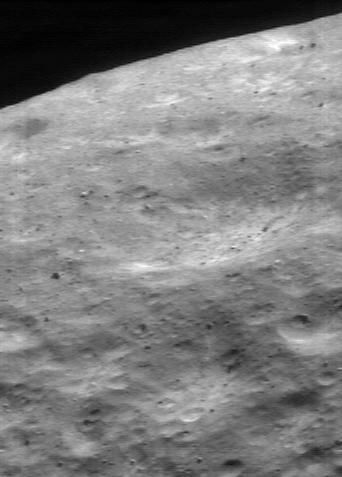 This image was taken on May 15, 2000, from an orbital altitude of 52 kilometers (32 miles). 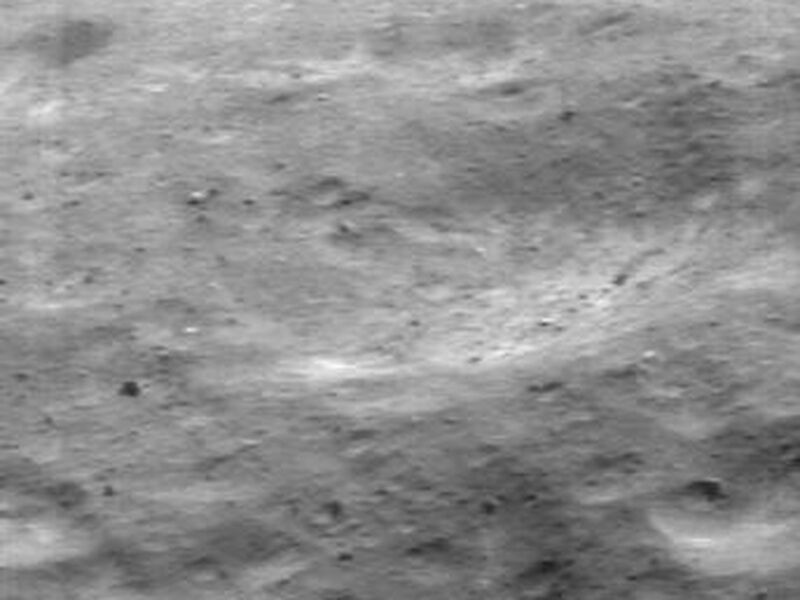 The whole scene is about 1.4 kilometers (0.8 miles) across, and it shows features as small as 4 meters (13 feet) across. With the Sun high overhead, shadows are minimized and surface brightness variations stand out. 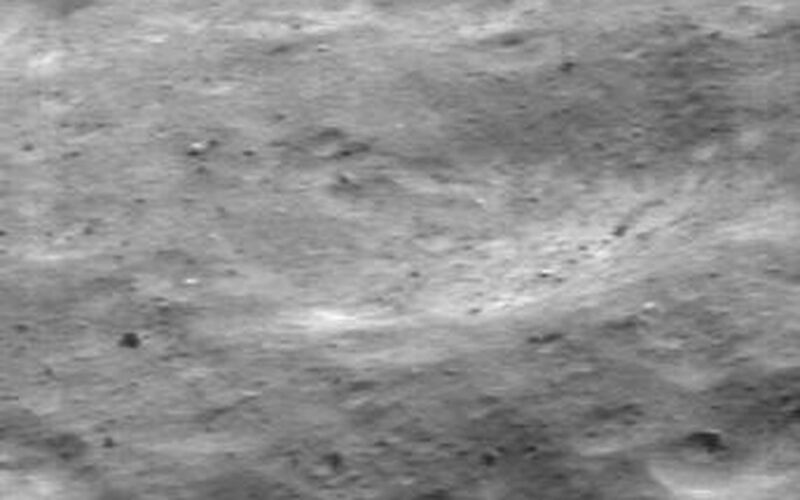 Mottled brightness patterns as small as 30 meters (98 feet) across are evident near the horizon.